On November 12th, almost a half-million of us sat glued to our screens watching scientists watch the space voyager Rosetta gently drop the lander, Philae, onto a comet. After Philae landed we all held our breath waiting for Philae’s confirmation to travel the 500-million kilometres back to earth telling us that she* had landed and everything was well and good. And in wild frenzy that peaked at 10,000 tweets per minute , the world cheered. 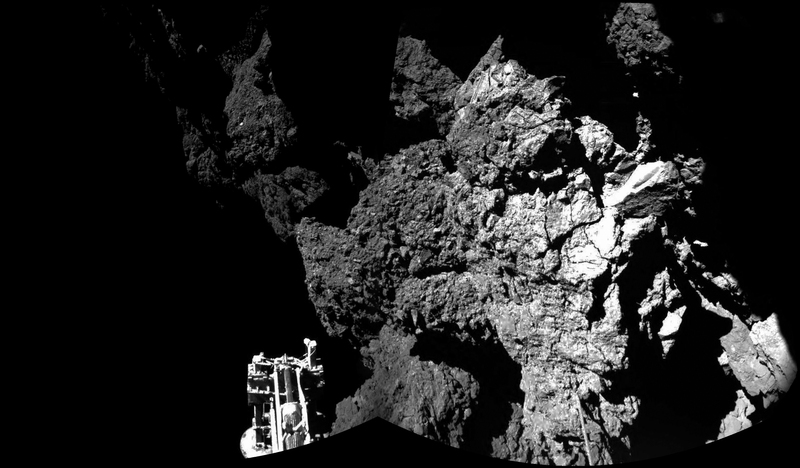 Philae’s touchdown on Comet 67P was at once momentous, thrilling, and heartbreaking. When we realized that Philae had bounced into the shade and that her batteries weren’t charging we wondered what would become of the decade-long mission. But I realized that even if Philae’s lights went out for good, there were some important lessons to be learned from this mission — Lessons about how big science is done, how it’s supported, and how the public perceives it. * Philae’s social media team considers Philae to be a “he” but to me the lander’s personality felt like a she. Given the circumstances, I’d like to think we can both be right. NextThe Jury is in on the 2014 Canadian Weblog Awards!